Recently, it seems like all the chocolate bars and biscuits are branching out into the world of ice-cream. There’s Toblerone, Terry’s Chocolate Orange and now, Reese’s Peanut Butter. Give me some of that. Right now. You can get them on a stick, or as ice-cream cups. 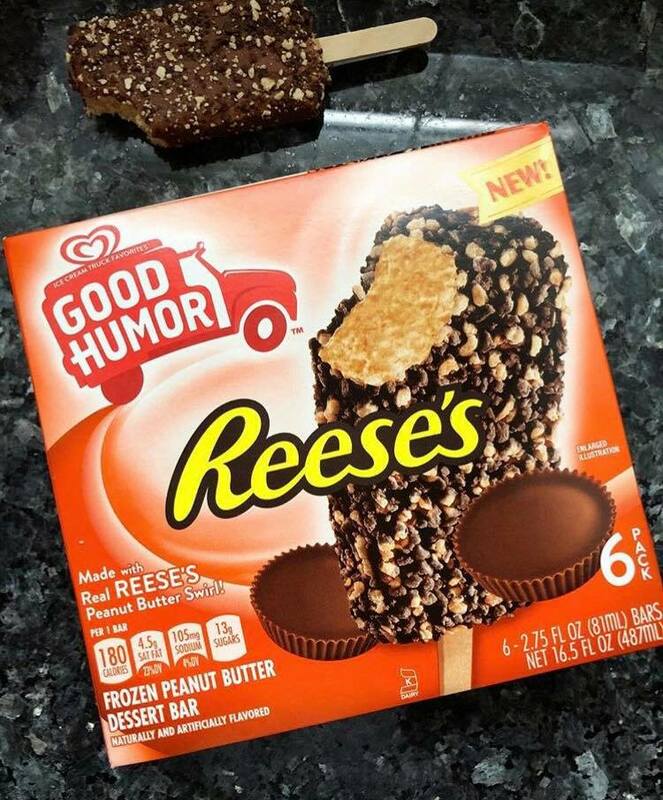 Reese’s® Peanut Butter ice Cream Cup® Bars feature yummy Reese’s peanut butter ice cream cup bars with a Reese’s® Peanut Butter Swirl dipped in a milk chocolate flavored coating. If you missed it, Swiss chocolate giant Toblerone are also doing ice cream. Tesco are selling these naughty sticks for three quid – for a pack of three – with all those toothsome notes of honey, almond and nougat present and correct. Of course, these ice creams come in the iconic triangular shape and we wouldn’t have it any other way. I mean, just try and imagine this treat confined to your regulation oval or rectangle shape. Nope, not having it. The ice cream itself is chocolate and honey flavoured, encased in a milk chocolate shell and bejewelled with fragments of almond nougat and even more honey. Scrumdiddlyumptious indeed. We already know this signature combination to be a winning recipe, but just imagine how refreshing it would be, while you’re in the back garden with the sun shining down on you. Back with my XL Lotus Bowl 2400cals of speculoos? Then next up, there’s Biscoff, the gorgeous caramel flavoured biscuits are now ice-cream too. You can buy tubs of the stuff or alternatively, if you fancy walking around in the sun, on a stick. Its arrival was announced on the official Netherlands’ Lotus website last April. Unfortunately, as we speak, it’s not currently available in the UK but you can order a tub of it for £4.24 from this Belgian supermarket, should your cravings hold out that long. Alternatively, if you’re a bit more old school, you can make Biscoff ice cream yourself. Still not convinced? How about Kinder Bueno? According to the French news website Golem 13, Kinder announced the launch of the ice creams earlier this year – which will be released later in 2018, across Europe. Although there’s currently no exact date given as to when they’ll hit the shops, people are expecting the frozen treats to be released during the summer. Apparently, there’ll be three different types including the Kinder Ice Cream Sandwich, the Kinder Ice Cream Stick and finally the Kinder Bueno Ice Cream Cone. Here, fine hazelnut milk ice meets a core of KINDER milk chocolate sauce, embedded in a crispy croissant covered with a fine layer of hazelnut cream made from Ferrero hazelnuts. The Stick meanwhile is described as being vanilla and Kinder flavoured ice cream coated in chocolate and crunchy hazelnut pieces. The Sandwich is the same ice cream placed between two tasty and nutty biscuits. Now, we just need some sun (here in the UK, at least). 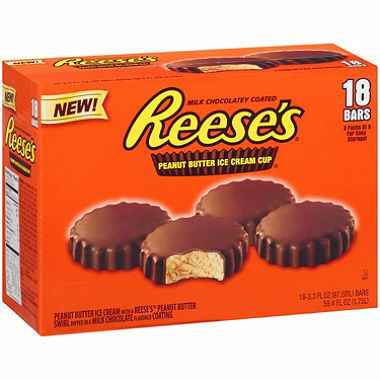 Reese's® Peanut Butter Ice Cream Cup® Bars - 18/3.3 oz. Les glaces Kinder débarquent en France !